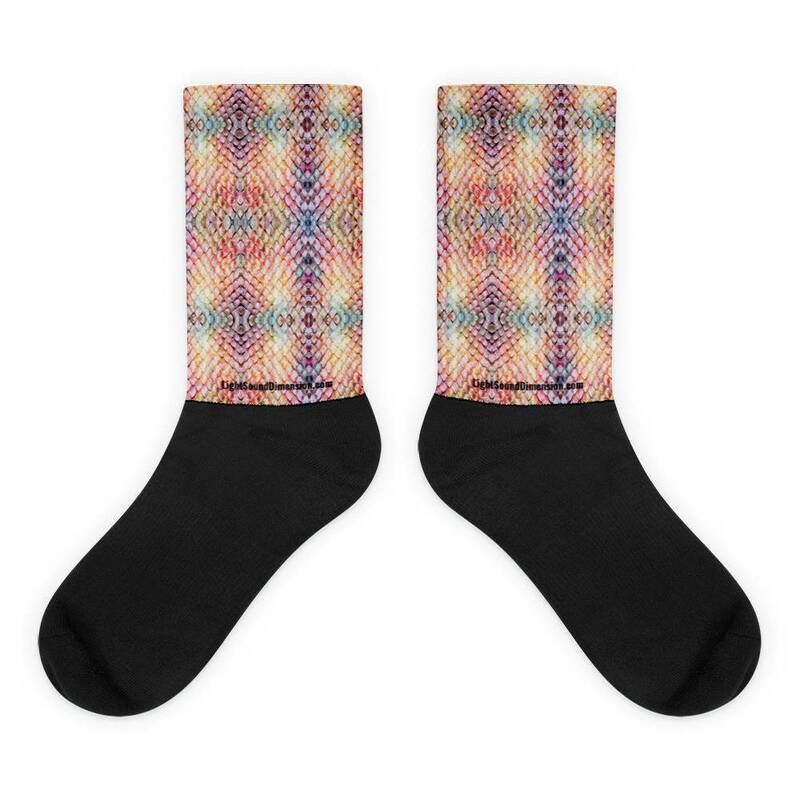 Unisex crew length socks with a ribbed leg and comfortable cushioned bottom. The foot is black with artwork printed along the leg with crisp, bold colors that won't fade. Socks are made of 60% nylon, 22% cotton, 18% spandex.